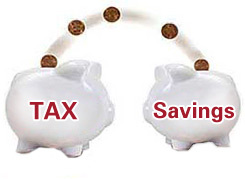 As the Financial Year comes to an end, most people are busy making investments to save tax. Most people think about taxes only when they, or a professional tax consultant, sit down and assess the income tax for the year. By then, it’s too late to take advantage of certain tax deductions, and those who have not done a financial analyst course particularly seem to face this. Tax planning is a year-round process. Most tax-saving actions must be carried out no later than December 31 of that year, or well before that. While it’s February already and most would have done their bit of investments, one can do a bit of better planning for next December. This is the time of the year when annual premiums would take a toll on the disposable income for the month. There is a larger deduction in the Salary slip owing to lesser than declared investments for the year and at the same time, the due insurance premiums or new investments force the people to spend less. While this is an annually recurring issue, I wonder how many people take out an FD in April maturing after 8 months in December same year so that they can meet the compulsory investments due then. Easier said than done since the bank balance is at all time low and we eagerly await the next salary, it might be a stretch to take out an additional FD. One knows that the Mediclaim premiums or Insurance premiums, by virtue of being bought in Nov, Dec or Jan, would be due every year same month (unless other modes chosen) it may be a good idea to invest in an FD, an equivalent amount at the start of the Financial year for a period of 7-8 months. The amount can be 50-60% if not 100% of the investment amount due in December (not considering the interest earned which may not a big amount). Most people make investments with a view to save taxes and not invest with the Financial Milestones in mind. Today professional help is easy to get, easy to enroll in Financial analyst course in India, and widespread awareness programs by interested firms seem to have created a better awareness among the people, yet there is a lack of disciplined investing. One should invest with a view to create wealth and achieve financial freedom. Given the time of the year, It may be a good idea to look at an indicative list of tax saving investments available today. This is a part of the salary structure and can be a good tax saving option. A lot of people relocate to different cities and stay on rent but many a times, people tend to ignore this as they may not have duly stamped and filed rent receipts, which they need to submit to claim HRA. If the receipts are not submitted, the amount cannot be claimed as exemption. The exemption limits of HRA are either minimum of 50% of the total income in a metro or 40% of the income in a non-metro, actual rent allowance received by the employer or actual rent minus 10% of salary. Provident Fund is a mandatory deduction from your salary. The employee as well as the employer contribute to it. While employer’s contribution is exempt from tax, the employee can consider the contribution as a Section 80C investment. The Employee can also opt to contribute additional amount which will be considered as Voluntary Provident Fund (VPF). This is a government scheme with a view to encourage long term investment by anyone and not limited to salaried employees. It has a lock in period of 15 years, but the maturity amount is tax free. One can contribute the amount every month or once in a financial year. There is also an option to withdraw from 6th year. Life Insurance policies are eligible under the Sec 80C and the premium paid towards the same is exempted from tax. Mutual funds not only save taxes, but also generates relatively better returns and create wealth An Equity Linked Savings Scheme (ELSS) has a lock in period and offer a tax deduction up to 1.5 lakh under Section 80C. The dividends declared under the ELSS scheme during the investment period are tax-free. The profits on the sale of ELSS units are treated as long-term capital gains, and are not subject to tax. Sec 80CCC stipulates that an investment towards retirement planning by way of investing in Pension Schemes is eligible for deduction. LTA is paid to the employee as part of travel within the country, with or without family. It can be claimed twice in a block of four years. In case, you are not able to submit claims for the block, you can carry forward one journey to the next year block. The actual travel cost of exempted under LTA. This can be claimed by producing tickets as proof of travel. The principal amount of your home loan is also eligible for tax exemption under Section 80C and the interest component can be separately claimed u/s 24. There are some components of the salary income, which can save some more tax. For example, Food coupons instead of lunch allowance, can be exemptedfrom taxable salary. Section 80D and 80CCF. Section 80D allows deductions for medical insurance for self and dependents and for parents over 65 years. Section 80CCF allows deductions up for infrastructure bonds. Imarticus Learning, an Education Excellence 2015 award winner offers certification courses in finance including financial modeling, risk management courses, and CFA course in India. It offers both online and classroom finance courses to make it extremely easy and flexible for an aspirant to pursue their dream career.